Home / Technical Articles / Do Not Energize Oil-Filled Transformer Without Performing These 15 Tests and Checks! 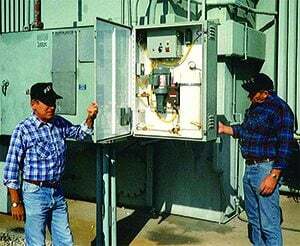 The following tests and checks should be performed at a minimum to ensure that the transformer is ready to be energized. 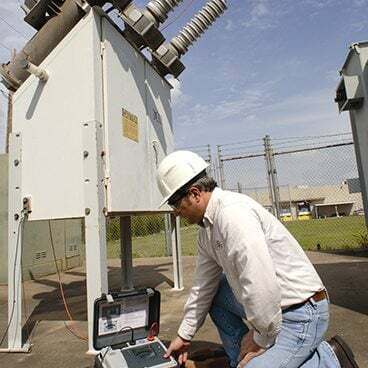 Do not energize the transformer without performing these tests and checks. If any of below explained tests fail and transformer is energized anyway, it may lead to the serious hazard, and that’s not good ;) That’s not what we want. 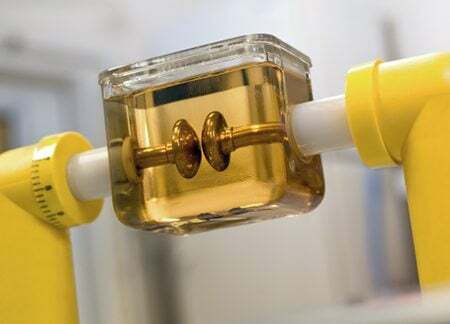 Draw a fluid sample and test its dielectric strength. Dielectric strength of new fluid should be 26 kv or greater. 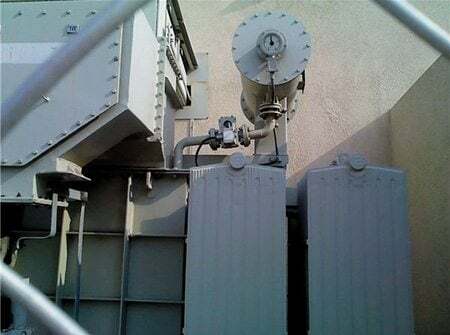 Check the transformer tank for leaks by pressurizing the tank with dry air or dry nitrogen through the pressure test fitting to a pressure of 3 to 4 PSIG. let the tank stand under pressure for one to two hours, then examine the tank and fittings for leaks. 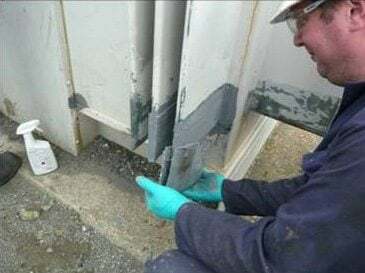 leaks above the fluid level can be detected by applying soap solution to all welds, joints, pipe fittings, and cable connections. Upon completion of this test, reduce the internal pressure to 1 or 2 PSIG. Perform a 1000-volt Megger test and a power factor test to ensure that none of the windings is grounded. See the complete procedure here. Perform a ratio test at each tap position to ensure that transformer coil ratios and tap changer connections are correct. 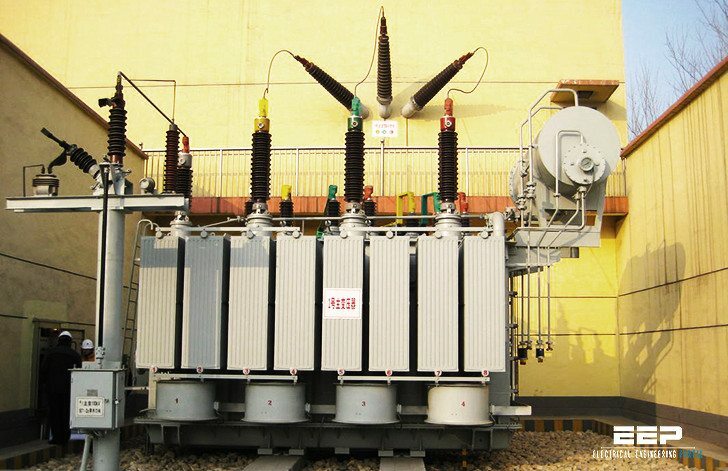 Read the complete procedure of transformer turns ratio test step by step. Perform a continuity check on each winding. Measure the winding resistance of each winding and compare results to factory test values. An increase of more than 10% could indicate a loose internal connection. In preparation for making line connections, check to make sure that all mating connector surfaces are clean and smooth. Connections must be tightened appropriately to prevent overheating and possible subsequent failure of the connection. Connections to should be made with care to avoid placing undue stress on the bushings. Check the tap changer setting to ensure it is set to the proper position for the required voltage. 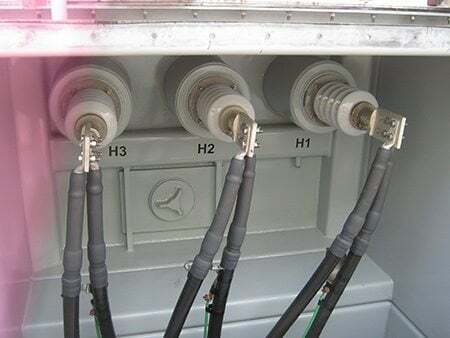 See an example of transformer tap-changer correct adjustment. Check delta/wye and series/multiple switch settings to make sure they are set correctly. 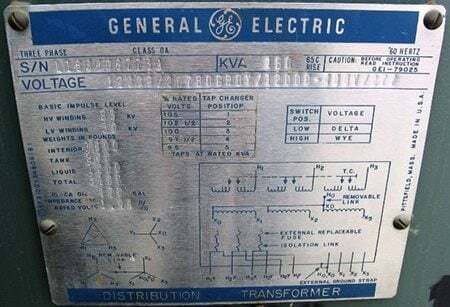 If these connections are made using an internal terminal board, check to ensure that these connections are made properly according to the chart on the transformer nameplate. 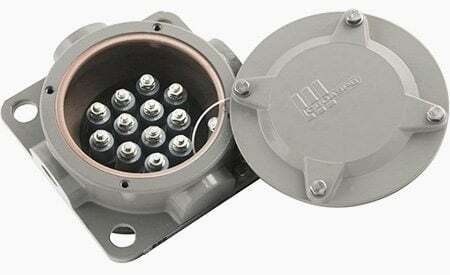 Check to ensure that the transformer tank is permanently and effectively grounded. The transformer tank ground pad is located near the bottom of the tank. Check wiring of control and alarm circuits (if provided) to make sure there are no loose connections and no damage to insulation. 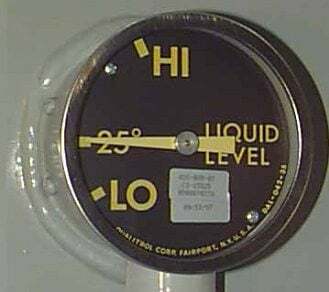 The fluid level gauge indicates the fluid level inside the tank. The transformer tank is filled with fluid at the factory to the normal level at a reference temperature of 25°C. Check all painted surfaces to make sure that there is no damage or corrosion. Check all bolted connections for tightness. Check to make sure that all tools and equipment are accounted for and have been removed from the transformer. 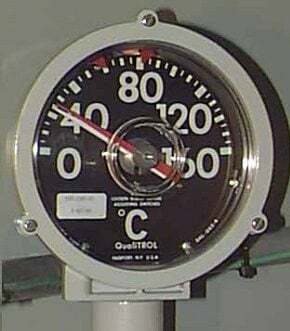 Read the fluid temperature gauge and make sure the temperature is no lower than minus 20°C before the unit is energized. Just I want to know about ELR. We have connected ELR With Incoming panel(800A). That ELR is getting Trip within Seconds. Equipments are not getting any Earth Leakages. No shock effect from equipments… I am not able to Understand what is exact problem..Pls Let me know Reason. I’m very glad about this, but if i want know more, how to discussaed with you as electrical engineer? I am a protection engineer and I carry out all such tests . I just want to know that why magnetic balance test of 160MVA tfr is diferrent from < = 100 MVA tfr. Good information for an executive. Thanks a lot for such a useful article. I have a question related to the resistance test where i have to read through the Megger. Is it right to compare with short circuit test and open circuit test which will provide me the magnetization Resistance and core loss resistance?? Exactly. But for Beginners this is quite helpful for getting the idea of testing involved in the process. thank you Mr.Edvard ,, very nice one but i think there is other tests to be added here like the polarization index and tan delta test. Thank you for your articles are so rich. Good app it is..I am Electrical Engineer who wants to improve the knowledge day by day..Thanks for this great app…Mr.Edvard.. Excellent article. You must add something about funcional test. For example test of ventilation system. It’s my suggestion. Please remove my photo, the first photo (DGA Syringe), from your publication. It is copyrighted and used without my permission. My apologize Mel. Your photo has been removed. Very good article. Air cell in conservative to be included in final checking list. Your article is very nice and useful..